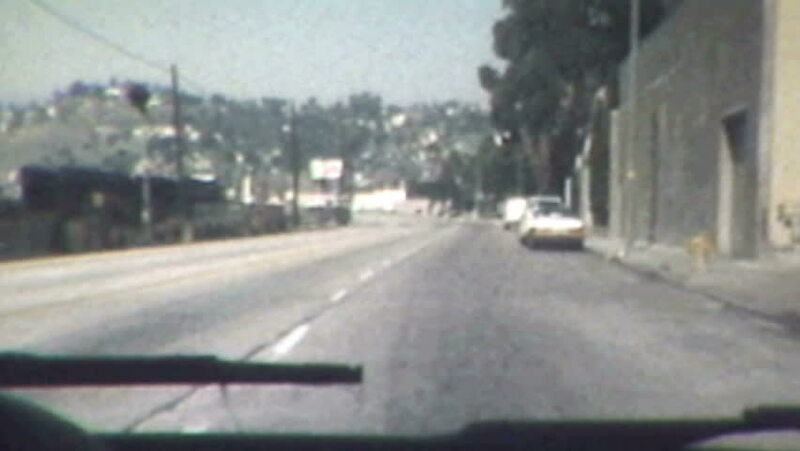 LOS ANGELES, CALIFORNIA - October 2, 1986: Vintage super 8 footage time lapse driving shot of San Fernando Road in L.A.'s urban core. hd00:09Driving Up to a Busy Intersection With Much Traffic With Blur Effect in Daytime. Driver's Point of View Front. sd00:50CIRCA 1965 _ Jayne Mansfield drives down Sunset Boulevard, swims in her pool with her husband, and feeds her goats.